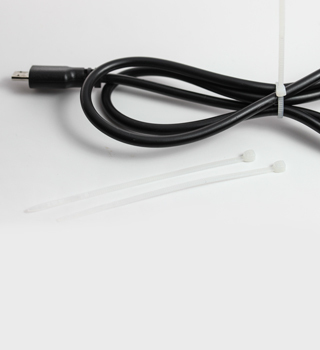 At ZipTape® Label ID Systems, we carry micro, mini and standard sized cable ties to assist in any cable bundling project. Our micro zip ties (8#) are very small and ideal for light cable and wire bundling applications. If you are looking for something a little bit larger for small cable and wire bundling, then our mini cable ties (18#) should suit you. For general purpose cable bundling, your best bet is to use our 40# or 50# standard cable ties. 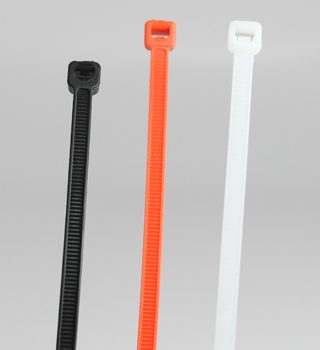 Our nylon zip ties are available in various lengths, weights and colors to account for whatever application you need. 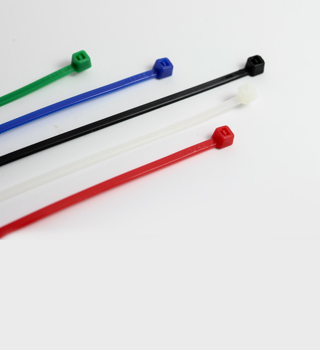 For those who need larger quantities, we sell bulk zip ties at deeply discounted prices. If you have any questions about our plastic cable zip ties or any of our zip tie labels to keep your wire bundles organized, please contact our knowledgeable customer service team for assistance. For general purpose bundling and organization, you can't go wrong with standard cable ties. Strong, durable, and dependable! Mini zip ties are larger than micro ties but smaller than standard cable ties and are perfect for wire bundling applications. For small wires or other light cable bundling applications, micro ties are an elegant way to keep your wires organized and neat.